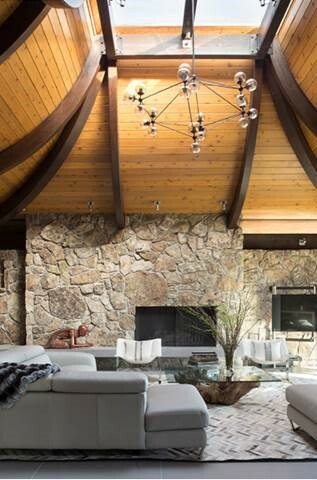 Situated on the edge of a cliff on an incredible site boasting panoramic views of the Aspen/Snowmass resorts and the Roaring Fork Valley, the client and team recognized the architectural uniqueness of this 1969 modern gem and vowed to restore its character while contemporizing it. 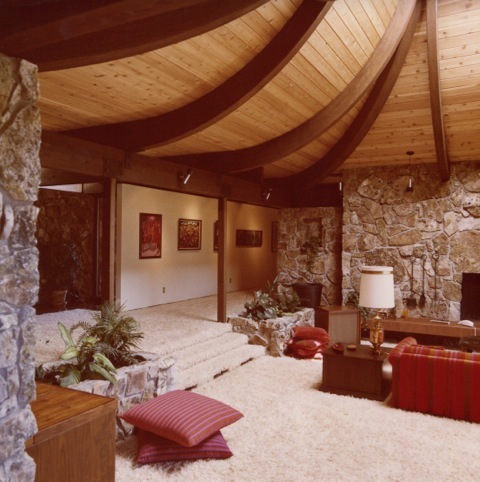 Improvements include refining the architecture to its original elements by highlighting the distinctive roof beacons with curved glulam beams, redesigning interior spaces and fenestration to have a stronger indoor/outdoor living experience, applying a restrained interior palette to every surface and accentuating the prominence of the architecture within the sweeping landscape. For more information, click here.